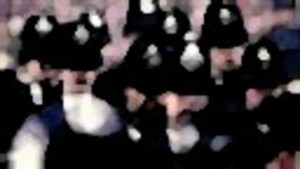 Many people, even those of us with little or no illusions in the police, felt a deep sense of shock and outrage when on 22 July 2010 the Crown Prosecution Service (CPS) announced that there would be no prosecution of PC Simon Harwood, who was filmed striking Ian Tomlinson shortly before he died during the G20 protests in April 2009. What made the announcement especially perverse was the date on which it was made, the fifth anniversary of the killing by the Metropolitan Police of Jean Charles de Menezes, a killing that also failed to result in any criminal prosecution of the police officers concerned. It is therefore unsurprising that the question has arisen as to whether the police are becoming more violent. But this is the wrong question. The history of the police force going right back to its inception in the early 19th century has been one of violence. From the attacks on the Chartists, the murder of Alfred Linnell during a protest in 1887, the Battle of Cable Street in 1936, the killing of Blair Peach in 1979 and the miners’ strike of 1984-5 the police have repeatedly deployed extreme violence as a tactic. This history is very well described in a number of books, the best of which remains Audrey Farrell’s Crime, Class and Corruption: The Politics of the Police.